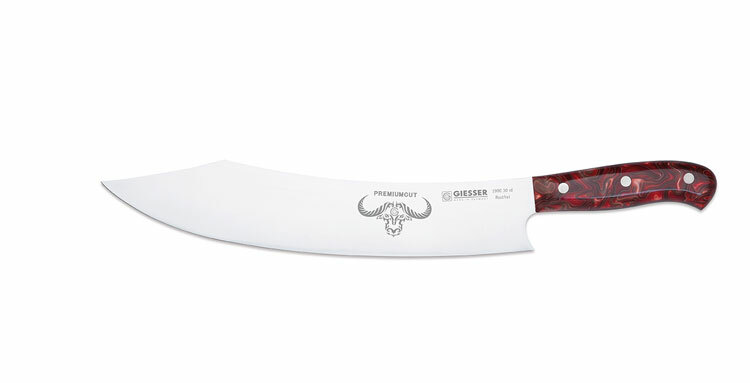 The shape that curves to a point, the massive blade – just perfect for hand ling large cuts of meat, fish or vegetables. Experience the fascination of this knife during a fantastic grilled dinner together with your friends – and prepare to be admired. Red Diamond Handle. The impressive design gets our hearts pumping. Red Diamond will take your breath away: The special manufacturing process creates one-of-a-kind handles, each one unique. Fire, meat and Red Diamond – what could be better?